Every girl wants gorgeous glowing skin and a sun kissed glow, am I right ladies? ...But we don't want nasty sunburn! Following a fake tanning routine will ensure a flawless natural looking tan all year round. 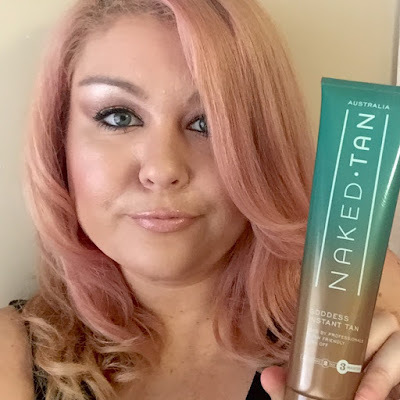 To achieve a flawless faux tan I love using the range of Naked Tan professional at home tanning products. 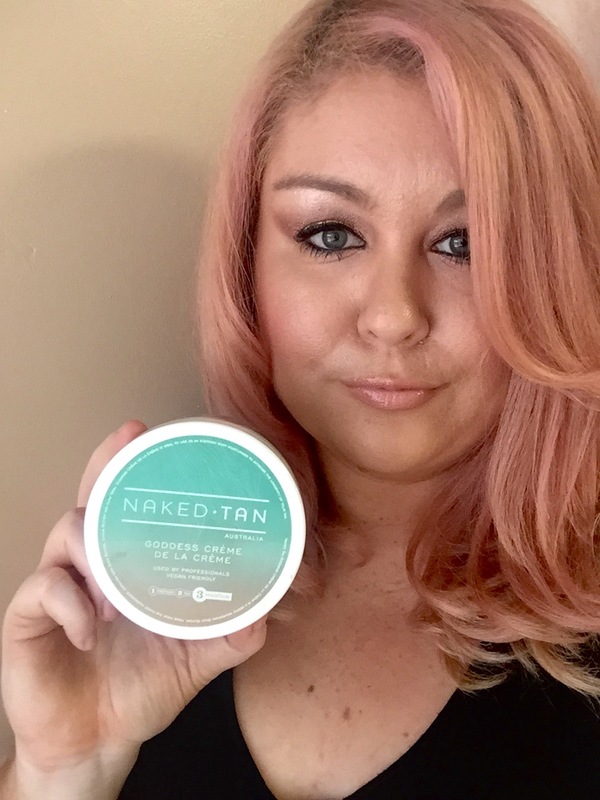 In this How To video I explain my 3 step, 3 day Naked Tan tanning routine and share 20 tan tips to help you achieve a flawless tan. So if you want gorgeous glowing Goddess like skin follow these 3 easy steps to achieving the perfect tan. 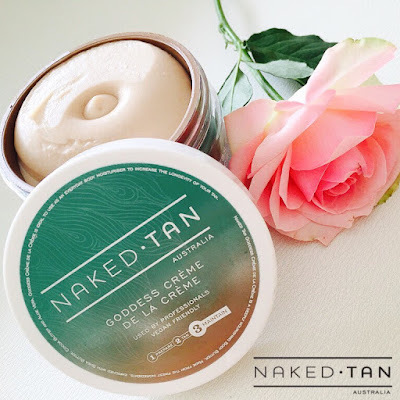 Take a cool shower and wash your body with Naked Tan's Goddess Body Cleanser. Apply Naked Tan Créme de la Créme to any dry areas of your body like elbows, hands, wrists, etc. 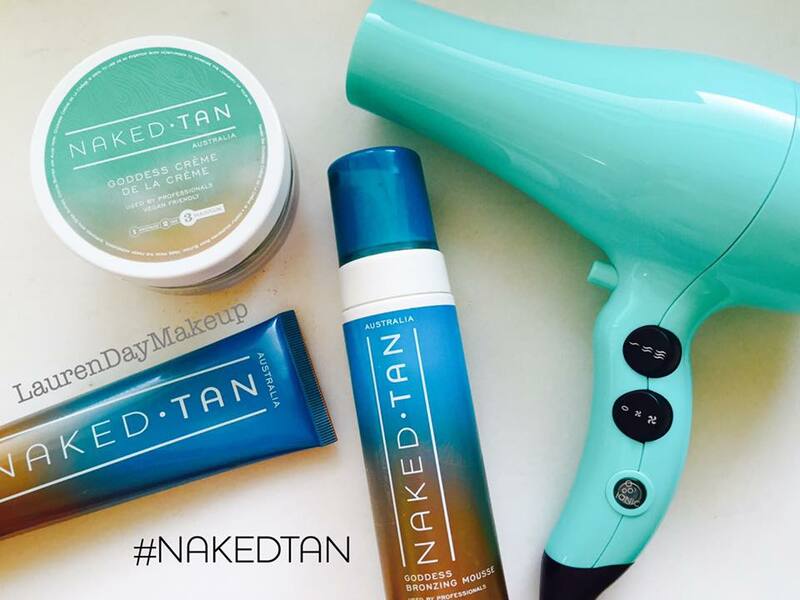 Shake your Naked Tan Bronzing Mousse bottle and then apply 1 pump to a tanning application mitt or Makeup Brush. Apply the product directly to your skin (with brush or mitt) using swirling motions to blend the product into the skin. Repeat this process until your body is tanned. Add an extra glow and enhance your tan with a Bronzing Creme or liquid bronzer - I use Goddess Instant Tan. Have a cool shower on tanning day! Long hot shower can open your pores - you don't want that. Using a self tanning mousse like Naked Tan's Goddess Bronzing Mousse will result in a streak free professional tan. It's easy to apply at home! Be sure to shake the bottle before application to ensure an even tan application. 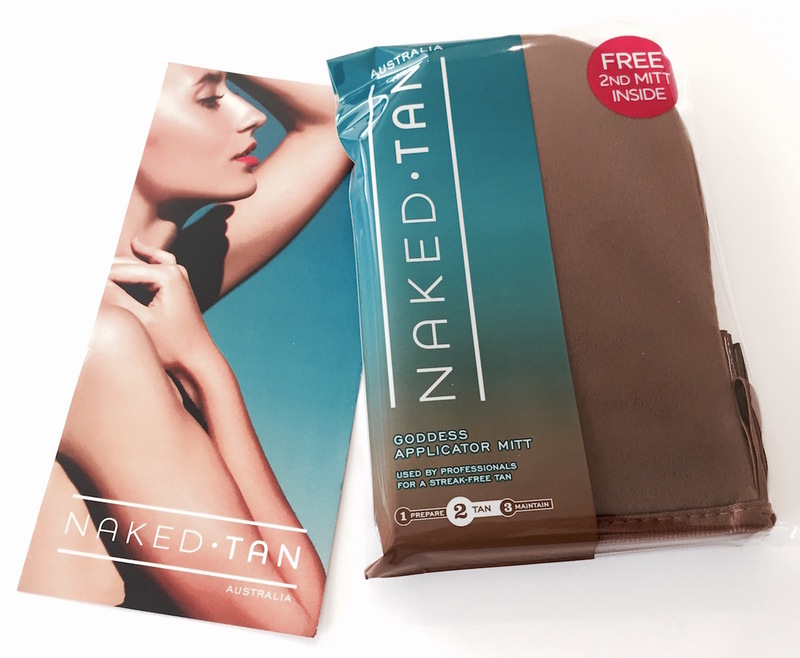 To achieve a streak free tan apply your Bronzing Mousse with a large powder makeup brush or Goddess Tanning Mitt. After showering be sure to not apply any deodorant. 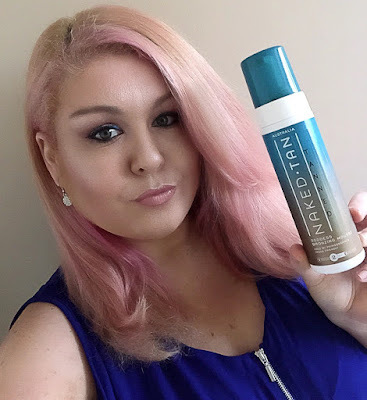 If you apply deodorant and then apply bronzing mousse over the area where your deodorant was applied the bronzing mousse will turn green - disaster! After applying your fake tan - dry your skin using your hair dryer on a cool setting. This will ensure your tan is completely dry before you get dressed. After tan application be sure to wear loose dark clothing like a maxi dress, robe or black oversized t-shirt. Don't wear a bra for the next few hours while your tan develops. Sweat, chlorine and rain don't mix with a freshly applied tan - so don't exercise, swim or go out in the rain while your tan is developing. Rinse off your naked tan in the shower 2 - 4 hours after application. Use Naked Tan Goddess Body Cleanser in the shower when rinsing. I have very pale skin so I sleep in my tan for a deep dark tan. I usually apply my tan in the afternoon or night and wash off first thing in the morning. Maintain your tan everyday with a deluxe moisturiser or body creme. I use Goddess Crème de la Crème everyday to hydrate my skin and help me maintain my tan for longer. Hydrating skin will ensure a longer lasting tan. 14 MAINTAIN TAN WITH BODY WASH - AVOID SOAP! Avoid using soap in the shower - it will strip your tan! Instead use an SLS free body wash like Naked Tan's Goddess Body Cleanser. It will keep your tan on longer and won't fade the colour of your tan. Tan your legs and feet with a gradual tan or self tanner. I apply Goddess Self Tan the day after tanning to my legs. This professional tanning creme is enriched with shea butter and tans while hydrating the skin. I always use Self Tan after shaving my legs. Everyday before applying my foundation I apply Eco Tan Face Tan Water using a cotton pad to my face. Suitable for oily and acne prone skin and it's non comedogenic. 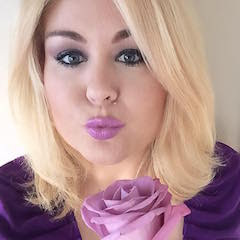 When your skin is tanned - you may need to wear a darker foundation to ensure your face and neck/shoulders are the same colour. Long hot showers and baths will strip your tan tan quicker, so avoid them! Have cool (or luke warm) short showers instead to ensure a long lasting tan. Apply a bronzing creme or liquid bronzer just like Goddess Instant Tan to highlight and enhance your tan. Instant Tan is a 24 hour tan with a natural bronze colour and gorgoeus shimmer. 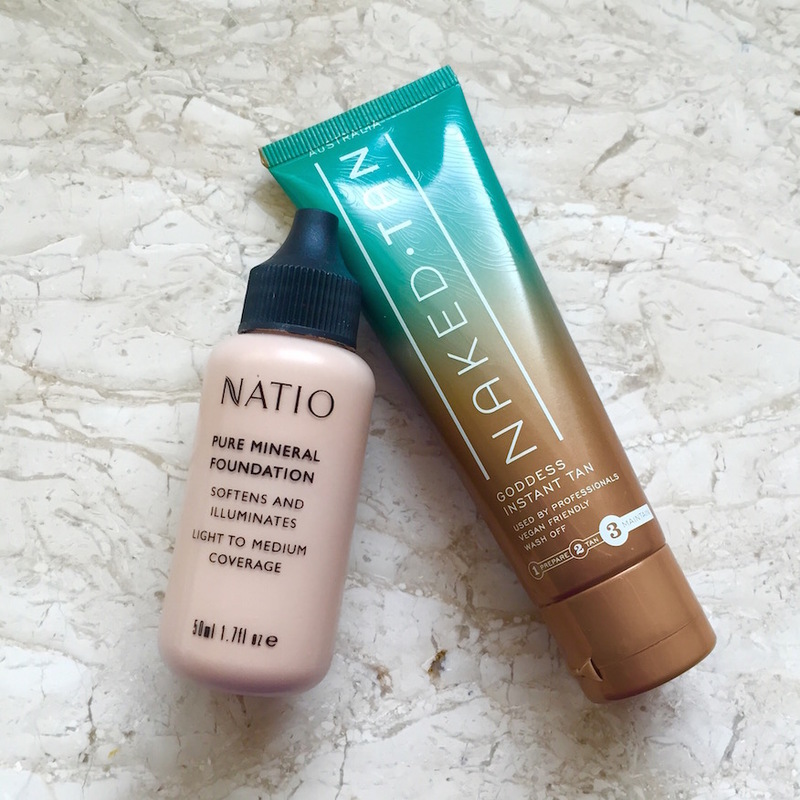 For a luminous glow mix Instant Tan with your foundation. Mix Goddess Instant Tan with your regular foundation shade to create a darker shade - this will ensure your foundation matches with your new tanned skin.